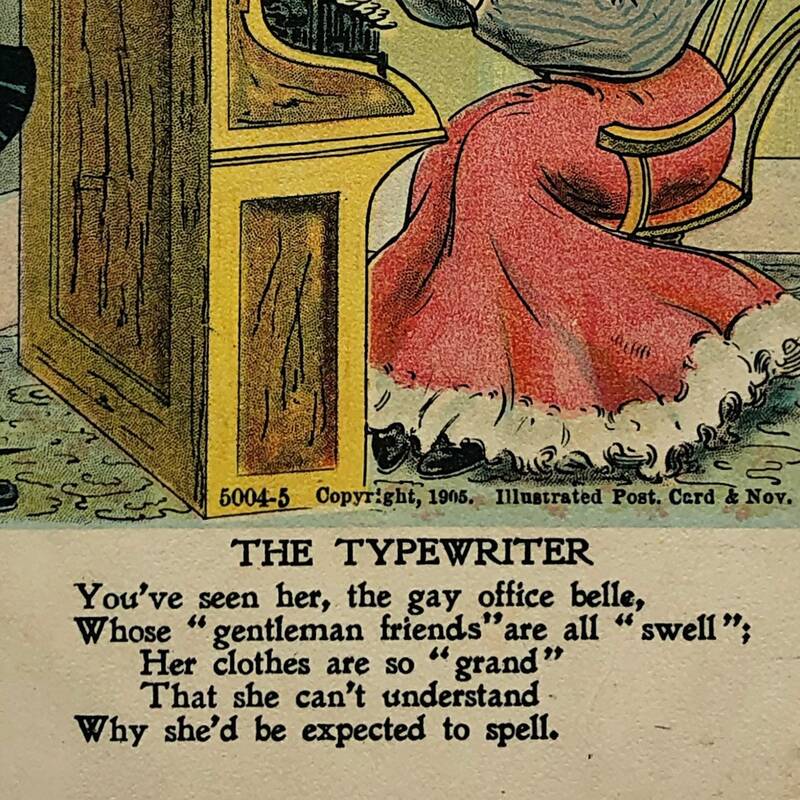 Vinegar Valentines: “The Typewriter,” copyright 1905. 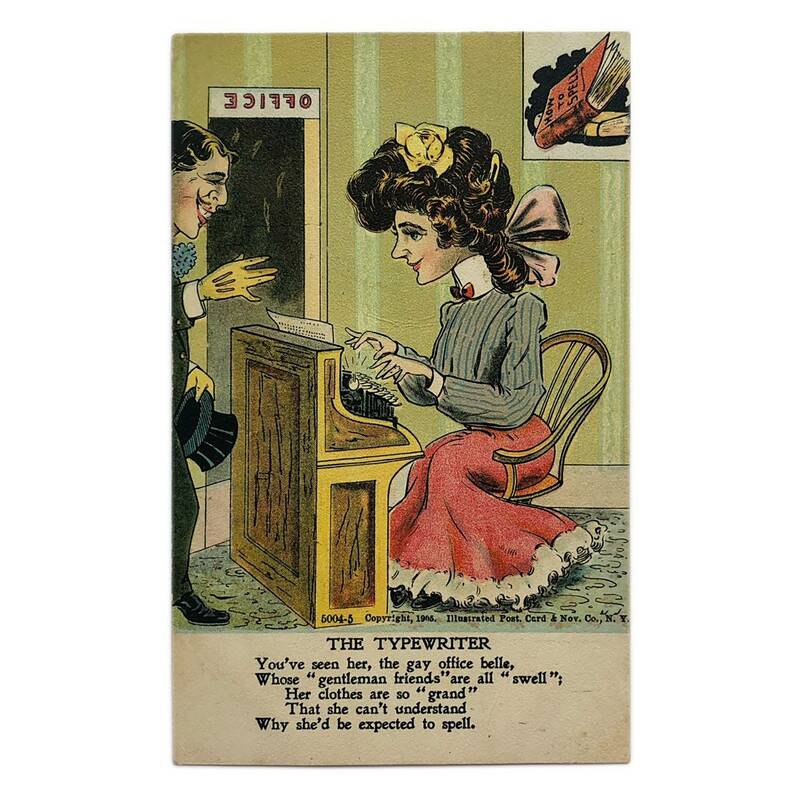 Vinegar Valentines: “The Typewriter,” copyright 1905. 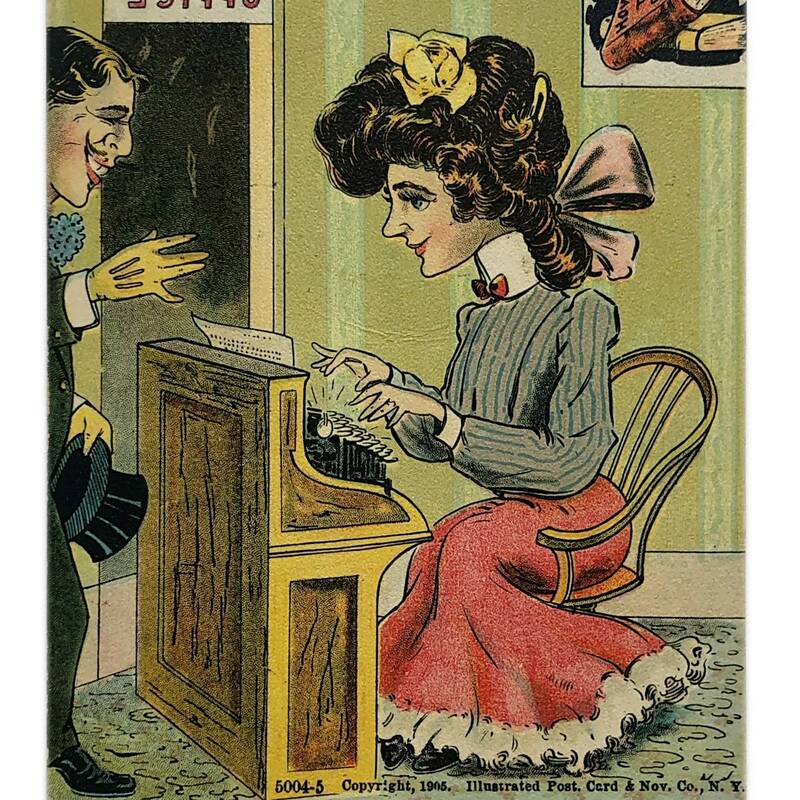 A typical Vinegar Valentine of the Edwardian era, poking fun at a stylish secretary. 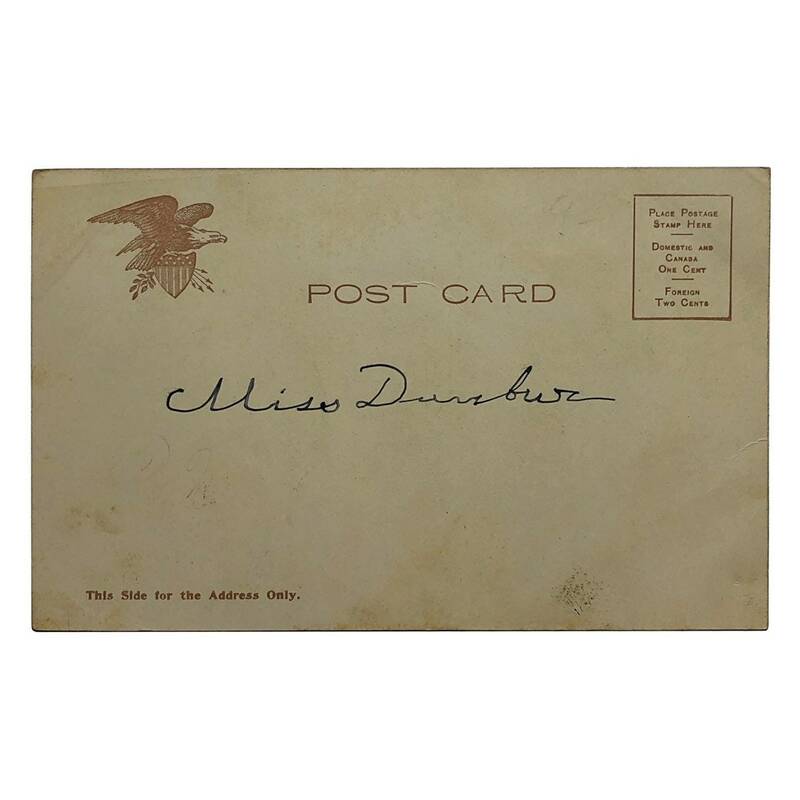 Hand delivered at the time to a Miss Dunbar. 💃🏼 Measures approx. 5.5” W x 3.4” H. Good condition w/ small corner tip bumps and scuffs - see images for reference.